Because of its geography and tropical climate, Cambodia is an agricultural country with rice as its main crop. Most of the 15 million people living in the country are farmers. People still grow rice using traditional equipment and methods and rely on rain for their success rather than complex irrigation systems. They only farm in the rainy season so they have enough water to grow their rice. Rainy season goes from May to November. During this time, it rains regularly for about an hour on most days, except for a few big storms each season. 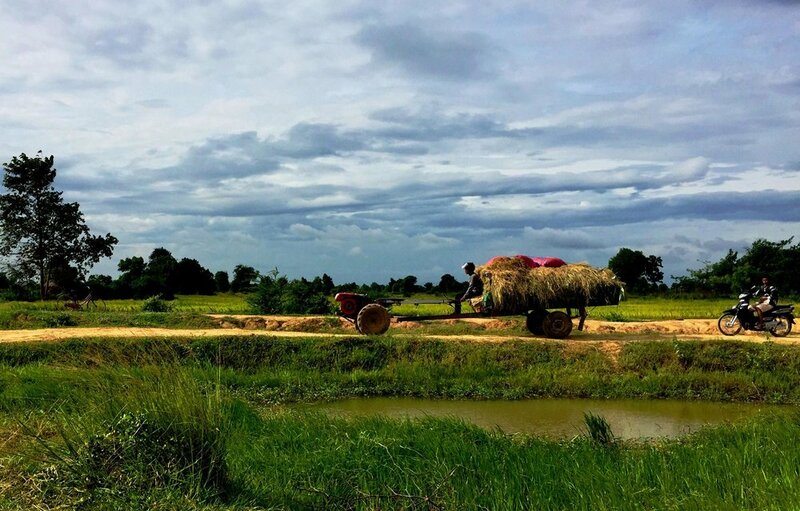 Visiting Cambodia in the rainy season could be the perfect way to see the beauty of the countryside and stay out of the hot weather as everything is transformed from dry and brown to green and beautiful. The plants, rice fields, and mountains all look powerful and healthy. In between May and November, Cambodian people are busy. At the beginning of the season, before there are daily rains, farmers plow their field and spread their rice seeds on the plowed land. 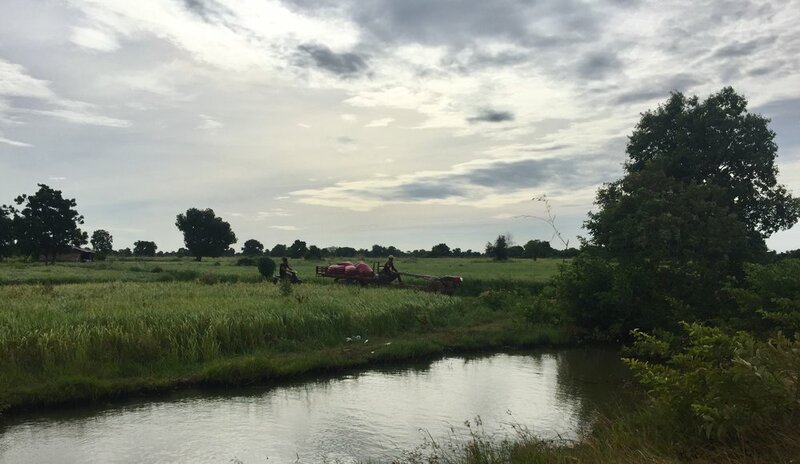 Each farmer has his/her own take on the best way to sprout the rice seeds – watering the field before spreading or after, or leaving it up to the weather. After the seeds have sprouted farmers watch the progress, adding water or fertilizer as needed, and they hope the weather will be favorable for their crop until the rice is ready to be harvested three months later. 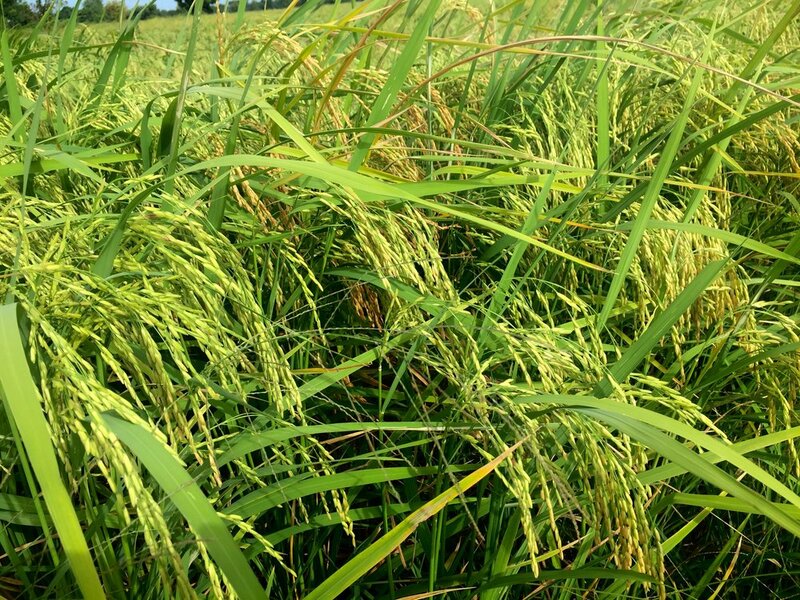 Harvesting time is between December/January until March or August – depending on the type of rice. 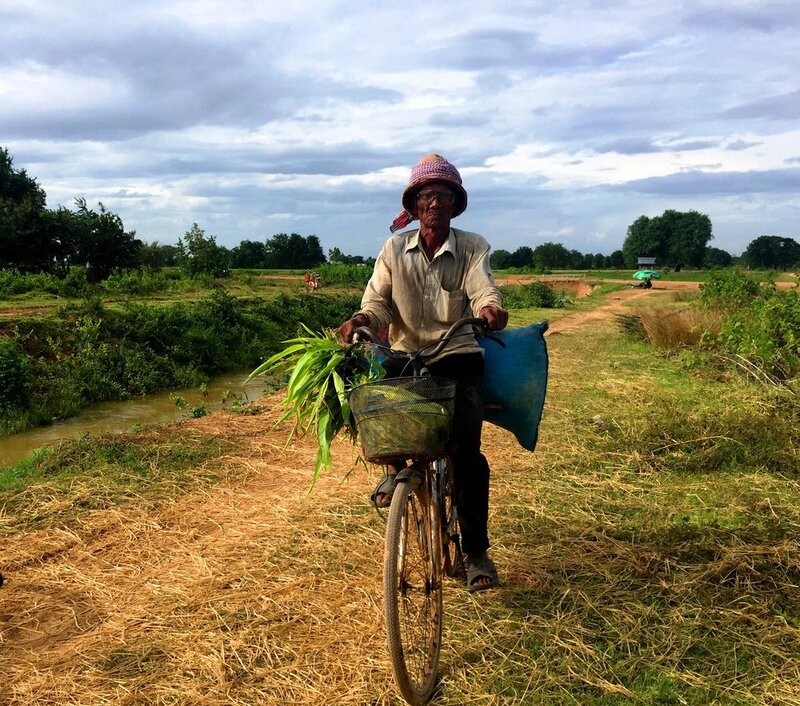 During the harvest, Cambodian people cut their rice and separate it in the traditional way, without machines or electronic equipment. 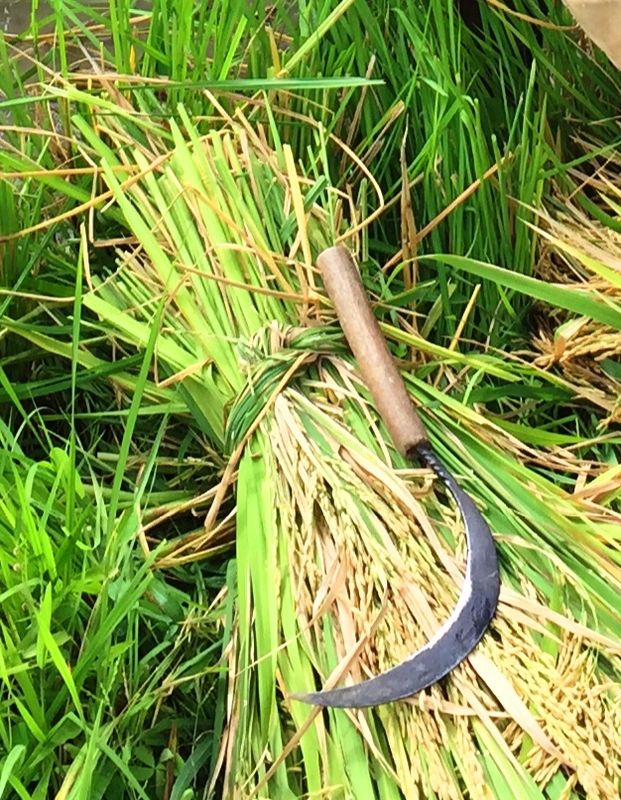 Most farmers use a sickle to cut the rice, and neighbors and families all get involved in a communal effort to harvest everyone’s rice fields. There are some of the richest farmers using harvester to cut their rice. However there are not many Cambodian people have it. Here are the photos of rice from the planting until the harvest and some activities of the average Cambodian farmer.